What Is The Definition Of Turkey In Bowling? 1. 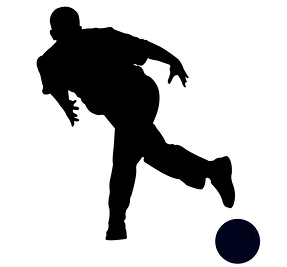 Turkey is a term used in bowling to describe when a bowler hits their third strike hit in a row. Why Is It Called A Turkey In Bowling? It is not actually known why three consecutive strikes is called a turkey, but many believe it began decades in the past during Thanksgiving. A common tradition in the United States, particularly in the late 1800s and early 1900s, turkey prizes were given away to those who would bowl three strikes in a row during the Fall holiday. This became popular throughout the country, and the term is still commonly used, despite the practice of handing out turkeys for prizes has ended. 1. Duke steps up to the approach, looking to get his first turkey of the afternoon.